The collegiate singlehanded campaigns of sophomore Luke Muller, sophomore Haley Fox and freshman Olivia Gugliemini ended just short of ultimate success in Norfolk, Virginia last weekend as the Cardinal sailors failed to reach the victory podium in the men’s and women’s championships. 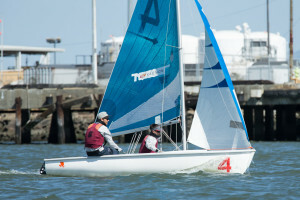 Light wind speeds affected the performances of the Stanford skippers over the course of the event, particularly on the first day of racing. The singlehanded boats used for the championship are more known for their performance in heavy breezes, and the change in tactics that accompany a less steady wind velocity coupled with the reduction in the number of races run made it difficult for the Cardinal to achieve their best results. Muller finished sixth in the men’s racing, gaining considerable ground on the second day after struggling in the particularly windless first races. The sophomore appeared capable of hanging with the top finishers on the moderately breezy second day, though he fell a little later in the afternoon when speeds once again began to die toward the end of the event. 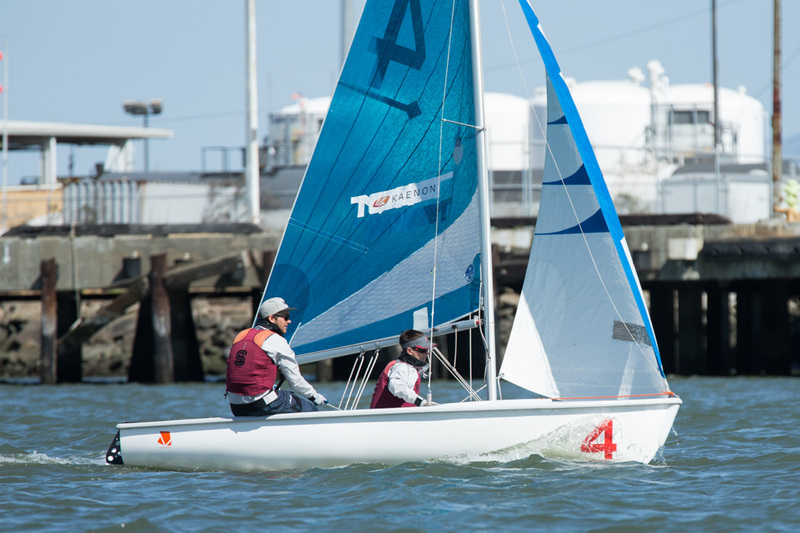 The skipper was the runner-up in the regatta last year, and his consistently strong performances in singlehanded events should make him a favorite to bring the title back to Stanford in the future, in what would be the program’s first title since 2006. In the women’s event, Fox worked her way up to ninth and Gugliemini finished 14th in the face of strong competition. Fox and Gugliemini struggled in the lighter air as well, finishing just fourth and third from the bottom of the group, respectively, after the first day of racing. Both skippers saw their results improve considerably on the second day, though their first-day finishes hampered their ability to seriously contend for top results. Stanford earned three of the four PCCSC conference qualification spots for these regattas at the end of September. Muller won the men’s qualifier and Fox and Gugliemini captured the top two spots of the corresponding women’s event to earn their way to Norfolk. With the final major fall championship event complete, Stanford will wrap up its fall competition at the conference doublehanded championship this weekend and the Big Sail on Nov. 17. Though neither event has any implications outside of the conference, both will give the Cardinal a chance to capture some bragging rights as they prepare to enter the racing lull of their winter practice season.